MAUI, Hawaii - Sept. 14, 2018 - PRLog -- New York Fashion Week's most provocative and sensational runway opening has gone viral on Instagram. 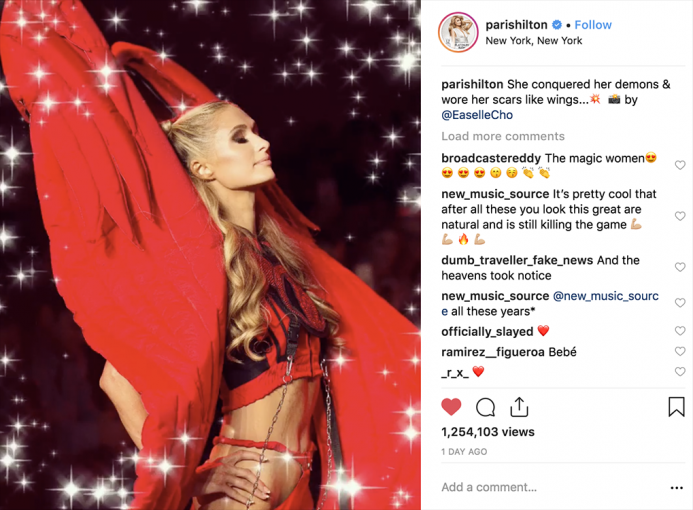 Paris Hilton's dramatic opening for fashion house, Namilia, is drawing millions of views from around the world. Three looping images, one captured by Korean artist, Easelle Cho, have captured over 3 million fashion fans with an irresistible glow. The hypnotizing motion effect behind the sparkling posts was created in a dynamic app suite called Plotaverse. Eccentric fashion designers, Phillipe and David Blond, also enjoyed surprisingly massive social media attention. A staggering 707 thousand fans gravitated to a glistening Plotagraph, showing the designers backstage among the stars of the runway. 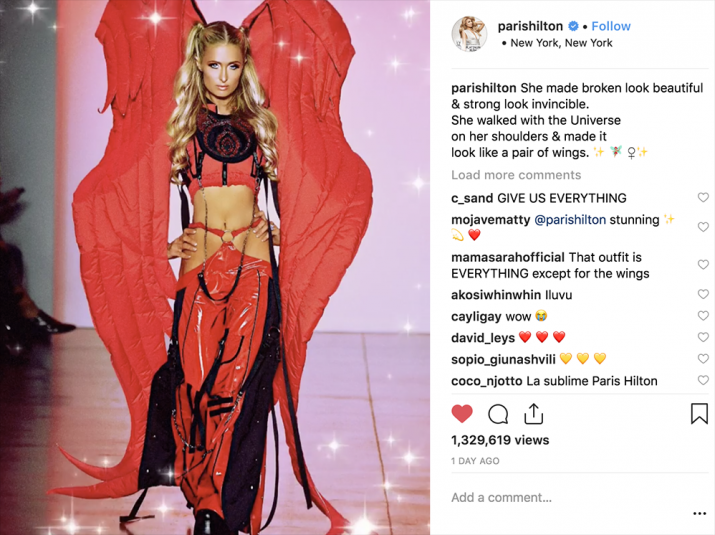 Yet again, it was Paris Hilton, who pushed "The Blonds" from the spotlight of New York Fashion Week into the global spotlight of Instagram. For Plotaverse, it was the week of outrageous style and platinum hair. 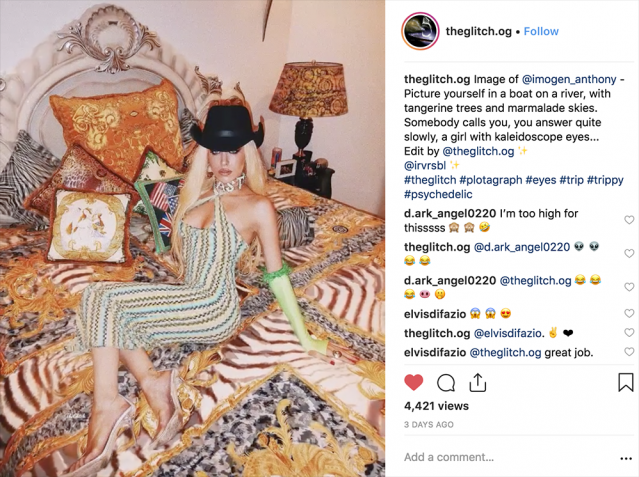 Three days ago, top model and designer, Imogen Anthony, emerged in a mind bending Plotagraph, created by motion artist, TheGlitch. Imogen can be seen surrounded by an infinitely looping flow of luxurious patterns. The effects that are creating this viral attention are video overlays called "PlotaFX", and the "Plotagraph" looping motion. Both stunning effects can be accessed in the same Plotaverse app. Who are the creators behind the viral looping effects? It is not a surprise that high fashion and advertising photographer, Troy Christopher Plota, is the co-founder of this stylish app. Having shot campaigns for media icons Heidi Klum, Usher, Mariah Carey, Rolling Stone Magazine and Vanity Fair, Troy's mission is to invent a new and unsurpassed creative tool to help creatives get the attention and opportunities they deserve. 25 year old Plotaverse co-founder and CEO, Sascha Scheider, is the granddaughter of Late actor, Roy Scheider, known for Jaws, French Connection, and All That Jazz. Sascha started her first business at age 17, and is described today as a leading female disruptor, according to Authority Magazine.